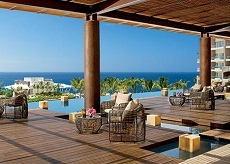 Six incredible Now Resorts & Spas make for one tough choice. No matter which you choose, you'll enjoy Unlimited-Luxury® amenities and so much more. Enjoy the perks of Unlimited-Luxury®, which include 24-hour room service, unlimited top-shelf liquor, limitless dining with no reservations required, and more. Additionally, there's no need for wristbands! With Unlimited-Luxury®, you never have to worry about carrying your wallet with you, and you can enjoy as many delicious meals, refreshing drinks, and exciting in-resort activities and events as you wish. You can even visit nearby participating resorts and dine at restaurants, have a cocktail at the bar/lounge of your choice, or take in a show with the Sip, Savor & See dining experience. With nine gourmet restaurants to choose from, you'll find that you never go hungry. Savor delicious burgers and hot dogs at Barefoot Grill, enjoy steaks at Bluewater Grill, and round out your meal with a tasty ice cream dessert at Ice Cream Parlor. Additional specialties include Mexican, French, Asian, and an international buffet. After your dinner, quench your thirst at six bars and lounges throughout the resort. 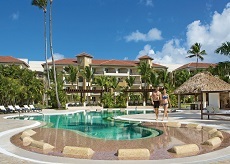 Activities abound at Now Onyx Punta Cana, including sailing, scuba diving, windsurfing, and more. 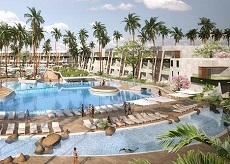 The addition of 16 swimming pools allows for both relaxation and exercise in a number of areas throughout the resort. Take advantage of exciting activities by day and delight in the amazing entertainment offered by night. Kids will also love the activities and events offered at the Explorer's Club, while teens will enjoy the Core Zone - the perfect setting for making new friends! Experience some of the most innovative spa treatments available at the Now Spa by Pevonia. Enjoy a great culinary experience with a choice of eight restaurants including Mexican, Asian, International Gourmet, and Italian cuisine. Head for a night out at one of the six happening bars and lounges. And you can even enhance your dining experience further with the Sip, Savor, and See program to nearby Dreams and Now Resorts & Spas (restrictions apply, transportation not included). Guests that are looking for an enhanced level of service and amenities opt for a Preferred Club Suite. Preferred Club accommodations include personalized check-in and checkout with concierge service, an outdoor Jacuzzi on the balcony, upgraded in-room amenities, access to Mercure Restaurant for à la carte breakfast, two 32" LCD TVs, complimentary in-suite Internet access, and access to the Preferred Club Lounge serving refreshments and offering complimentary computer access. Greening Your Life: Part of the Apple Vacations Greening Your Life initiative, this property is Rainforest Alliance Verified, sells locally made products in stores, and donates goods to local charities. Additional green initiatives include a turtle release program, waste recycling program, 100% environmentally-friendly cleaning products, biodegradable bathroom products, water-efficient bathroom systems, and motion-sensor light switches that work to conserve energy. Spacious guest rooms and suites feature impressive amenities, modern Caribbean-style décor, luxurious bedding, and 24-hour room service. If you desire an even higher level of luxury, the Preferred Club is for you. Enjoy an upgraded room or suite with a Jacuzzi on the balcony or indoors, special concierge service, complimentary internet access in room or suite, upgraded mini-bar service, upgraded bath amenities, and access to the private Preferred Club pools and lounge. Bring the kids to Now Larimar and let them experience the Explorer's Club, offering a full list of activities for children ages 3-12. They will have a blast at weekly campout adventures, sand castle competitions, and many more activities. The Core Zone is the perfect spot for your teen to cut loose and really have the time of their life. Designed specifically for ages 13-17, the Core Zone allows teens the opportunity to enjoy nightly entertainment, daily activities and a vast array of sports and games. Your days at Now Larimar Punta Cana will begin and end with the tastes of savory dishes. Relish in the moment with seven reservation-free gourmet restaurants and seven bars and lounges. Each of the bars and lounges serve up a variety of premium brand beverages. Feel like a night out? Enjoy drinks, dinner and live entertainment at select neighboring resorts with Sip, Savor and See available from 6pm-1am (transportation not included). 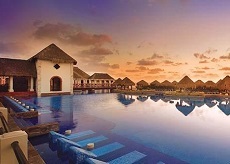 Welcome to Now Sapphire Riviera Cancun, a sumptuous Unlimited Luxury® resort of Mayan-inspired architecture. 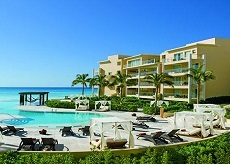 Where oversized suites, gourmet restaurants, and one heavenly spa are yours. Take the kids to Now and let 'em loose in the Explorer's Club for kids, ages 3 to 12 years old. Fully staffed and supervised, you'll find everything covered. Starting at 9 a.m. daily and going to 10 p.m., the Explorer's Club is ideal for stimulating young minds and hearts. The Core Zone Teen's Club allows teenagers 13 through 17 to cut loose and have the time of their lives. Located next to the Explorer's Club, the Core Zone features nightly entertainment, daily activities and a vast array of sports and games. Activities are held for teens to make new friends, connect with those they are with and have an unforgettable time. Now Sapphire Riviera Cancun has what your discerning palate craves. There are six reservation-free restaurants and five bars and lounges - as always, laid-back attire is the recommendation. Feel like a night out? Enjoy drinks, dinner and live entertainment at select neighboring resorts with Sip, Savor, and See, available from 6 p.m. to 1 a.m. (transportation not included).